On Monday, April 30th at 3pm EST, The Arc will host a Twitter chat with Autism NOW, the Centers for Disease Control and Prevention (CDC) and other organizations to talk about the latest data on the prevalence of autism and the resources available to people with autism spectrum disorders and their families. During the hour-long chat, The Arc and Autism NOW will take your questions and comments – so join us for this Twitter dialogue! We will explore topics like the early signs of autism in a child, the latest research, including the CDC’s new prevalence data, and resources available through this website. This is an exciting opportunity to chat with experts about current issues surrounding autism. We’d love to see you there! Here are the rest of the details, courtesy of The Arc Blog. Following the chat on Twitter is easy. 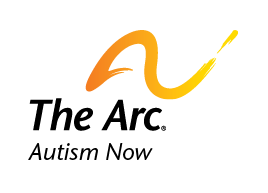 First, follow @TheArcUS and @AutismNowCenter on Twitter. We’ll be using the hashtag: #TheArcChat – this link will allow you to follow the conversation. There, you’ll be able to follow the conversation in real-time. Keep in mind, if you want to participate in the chat, you’ll need an account on Twitter. If you haven’t used Twitter before, here’s a great link to learn more about it and the basics of Twitter. If you need an accessible version of Twitter, we recommend using Easy Chirp. Simply visit its website, and sign in with your Twitter credentials. If you want to be part of the conversation on Twitter, simply use the hashtag: #TheArcChat when you tweet. You can find out more about hashtags in Twitter’s Help section. Date posted: April 23, 2012. Content created by The Autism NOW Center. Last updated: March 21, 2018.